Paul Lewing's hand-painted mural tiles can add poignant scenes for thoughtful contemplation and celebration to any church or religious space. Sacred spaces have a long history of being decorated with art from murals to paintings and sculpture. 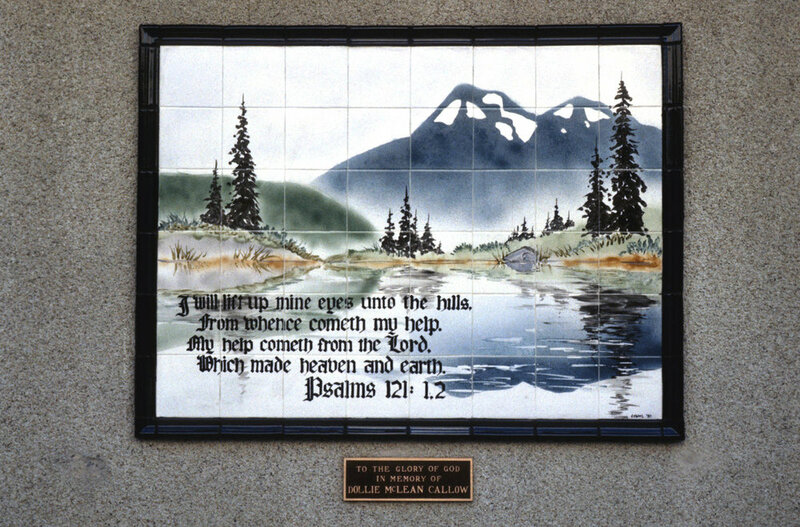 Paul Lewing's mural tiles can add poignant scenes for thoughtful contemplation to any church or religious space. Contact Paul for more information.